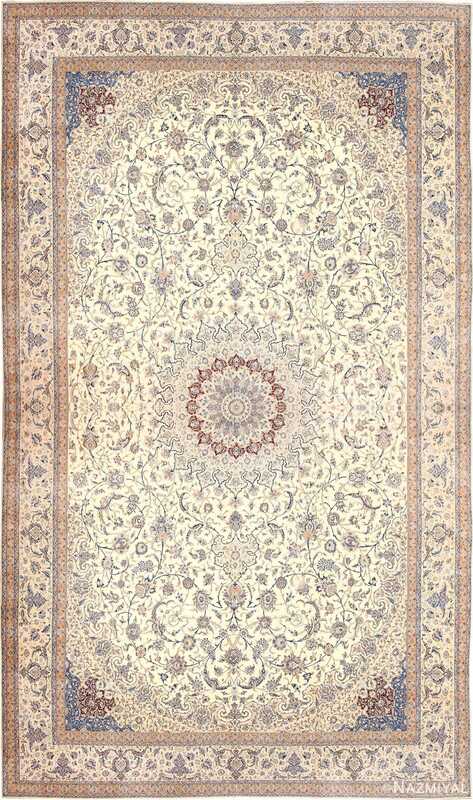 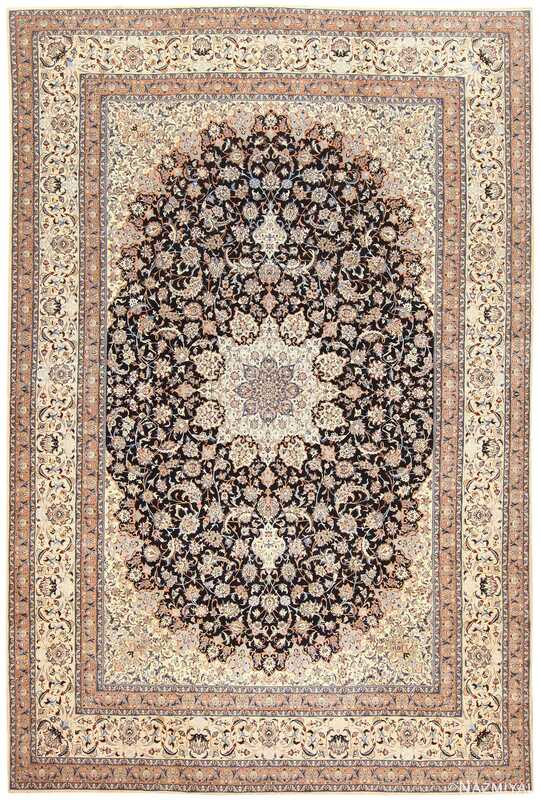 Vintage Nain Carpet, Origin: Persia, Circa Mid 20th Century — A striking vista of color and form greets the viewer, with intricate details present at every corner of the piece. 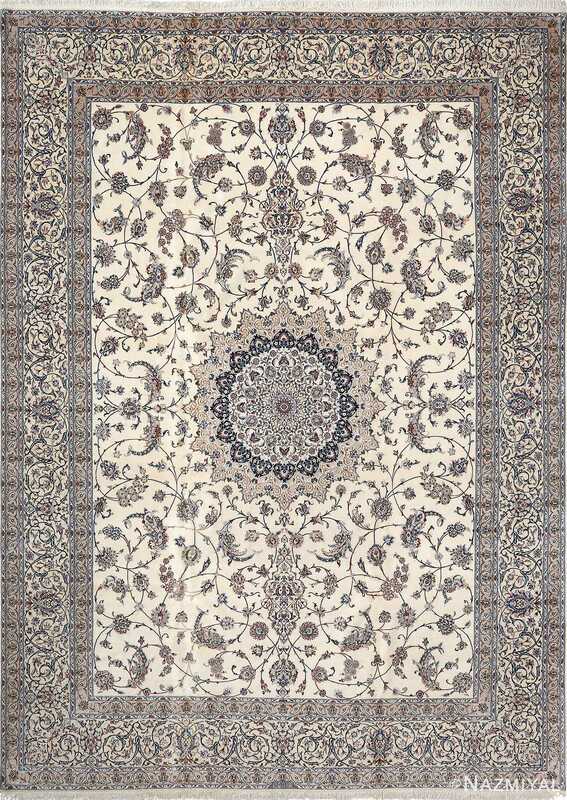 While the Nain carpet only uses a few primary colors throughout, these colors are represented in a variety of shades that add depth and life to the presented scene. 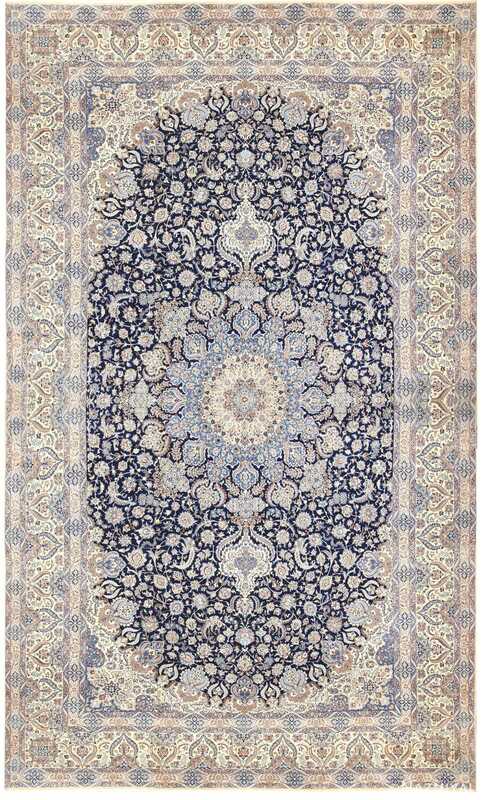 Deep and dark backgrounds allow the clearer floral elements to stand out even more, and every beautifully represented curve seems to lead the eye to other connecting pieces, which results in a constant flow of motion between all of the rug‘s painstakingly rendered layers and borders.